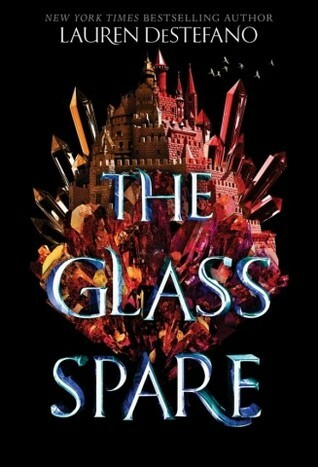 I’m sad I didn’t enjoy this book as much as the previous two. I just found it slow and felt like there wasn’t a whole lot happening, until the climax of the story. 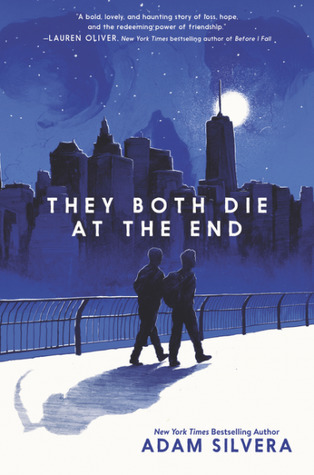 That being said, I absolutely loved the way it ended (which I won’t share because, spoilers!). Much of the story focused on Day, and the health issues he was experiencing due to the Republic experimenting on him when he was younger. I understand that one of the biggest driving factors of the story is that Day is losing who he is (his strength, his stealth) because of his tumor, but I didn’t enjoy reading about him because he wasn’t the Day that I came to love in the last two books. I guess it was kind of the point, but he just changed too much for me. Like I said, the story seemed a bit slow, and definitely more political. Instead of running and scheming and fighting, there was a lot of discussing and thinking and planning. Not that there wasn’t any action, there was, it was just less than I was hoping for or expecting. 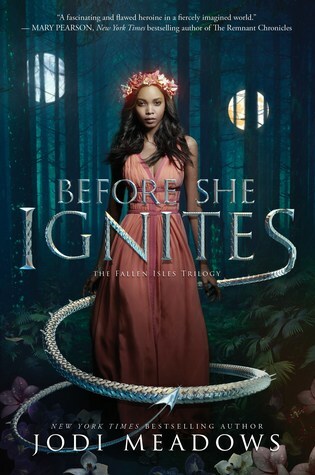 What I did love in this story was that Eden was in it and we got to know him as a character, through Day’s eyes as well. He is so different from the Eden that Day once knew because he’s been through a lot and he is older and more capable of understanding what’s happening in the world around him. He’s not just Day’s little brother anymore. As I mentioned, I also loved the ending, but I won’t share any details on that. But it was a great way to end the series. 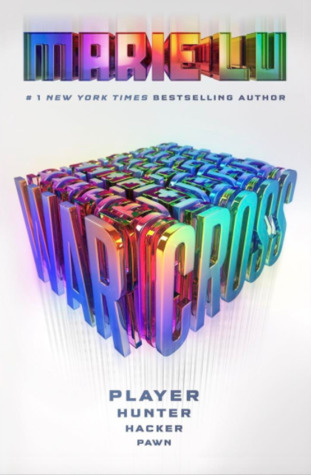 Although Champion fell a bit flat for me, I still love Marie’s writing and I can’t wait to read her new book Warcross. I haven't done a Teaser Tuesday in a long time! It used to be a weekly meme hosted by MizB of Should be Reading, but she's moved on to different things, so I don't know if there's a host anymore. Let me know if you do! Try not to include spoilers! 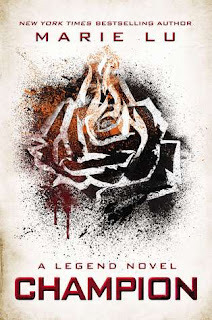 My teaser this week comes from Champion (Legend #3) by Marie Lu. How can two countries with such radically different philosophies ever reunite? What hope do we possible have of transforming the Republic and the Colonies into what they once were? 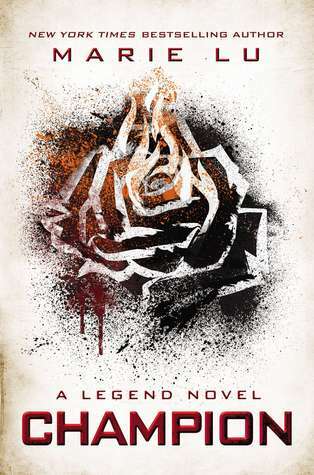 If you don't know the story of the Legend series, it's set in a dystopian United States of America that has been divided into the Republic and the Colonies. 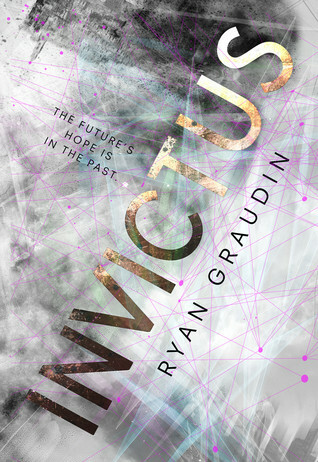 In this third book in the series, the two sides are on the brink of war. Feel free to share links to your Teaser Tuesday if you're still participating! 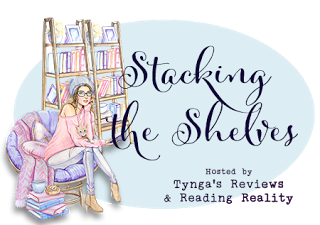 Stacking the Shelves is a weekly meme hosted by Tynga at Tynga's Reviews and Marlene at Reading Reality. To start off, I'm only going to do a monthly Stacking the Shelves post, unless it gets too overwhelming because I'm getting too many books. Considering I just got a part time job at Chapters/Indigo, that is a very large possibility! Better late than never! It's a new month! And that means we've gotta look at all the books I got in the last month! Clicking the title will bring you to Goodreads. These are affiliate links, so At Home Between the Pages may make a small commission if you make a purchase through these links. Holy wow, September went flying! It has been such a busy month for me, with my sister getting married at the end of September, and teaching work starting up again. I did not expect to get much work in September, and yet here I am! More good news is I also got a part-time job at my local Chapters/Indigo! Although I don't start until October, it's gonna be super exciting working in a bookstore. 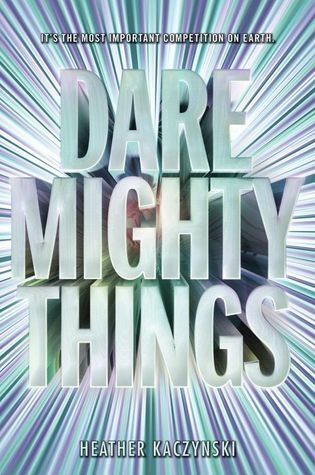 In the book world, October has a LOT of awesome books coming out. Keep reading to see which ones I'm looking forward to. Links will take you to Goodreads. THOSE COVERS THOUGH. There's so much pretty I can't even right now. October is gonna friggen rock, my shelf is gonna look soooo pretty and my bank account is gonna hate me. 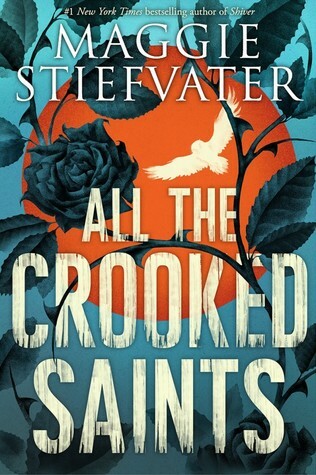 My top pick is Maggie Stiefvater's All the Crooked Saints. Which October releases are you looking forward to the most? 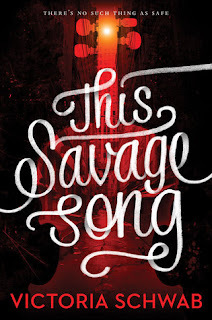 There’s no such thing as safe in a city at war, a city overrun with monsters. 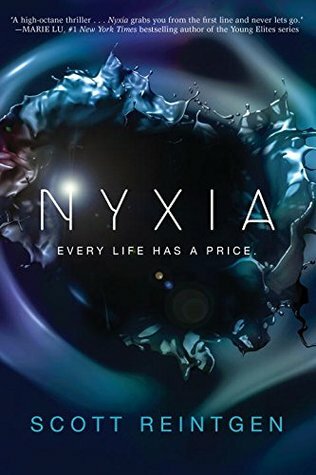 In this dark urban fantasy from author Victoria Schwab, a young woman and a young man must choose whether to become heroes or villains — and friends or enemies — with the future of their home at stake. The first of two books. 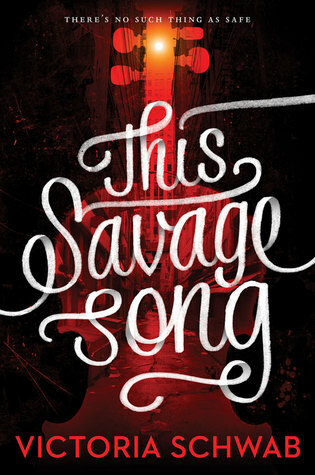 Kate Harker and August Flynn are the heirs to a divided city — a city where the violence has begun to breed actual monsters. 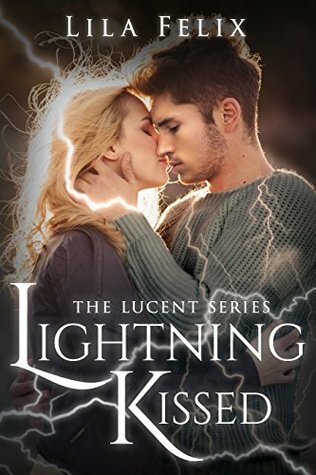 All Kate wants is to be as ruthless as her father, who lets the monsters roam free and makes the humans pay for his protection. 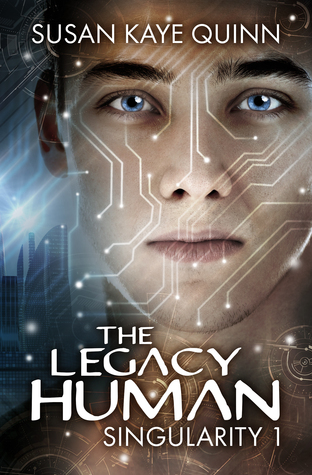 All August wants is to be human, as good-hearted as his own father, to play a bigger role in protecting the innocent — but he’s one of the monsters. One who can steal a soul with a simple strain of music. When the chance arises to keep an eye on Kate, who’s just been kicked out of her sixth boarding school and returned home, August jumps at it. But Kate discovers August’s secret, and after a failed assassination attempt the pair must flee for their lives. 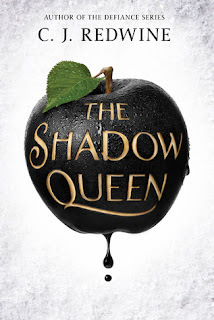 I loved the world that Victoria created in this story. 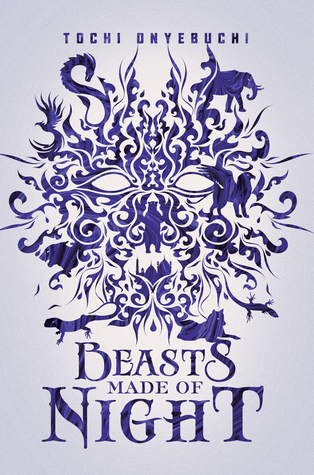 Monsters created from acts of violence and tainting people’s soul’s red – SO good. It took me a while to realize that it was a dystopian world, but it’s not even that important to the story. What is important is the fragility of the truce between North City and South City, the constant fear in which people live from the city’s monsters. It was all written and described perfectly and I absolutely love Verity (but please don’t ask me to move there). I think I have a weakness for emotionally vulnerable male characters these days. It happened with the last book and it happened with this one, too. August is by no means a vulnerable character – he’s literally one of the most feared monsters in Verity – but he has this innocence about him. He just wants to have a family and keep people safe and avoid war breaking out between North City and South City. He wants to be good for himself and for the world. August consistently pulled on my heartstrings in this book. On the other side, there’s Kate Harker. She’s sharp and pointy and wants to be just like dear old Dad (who manipulates all of North City using fear). She tries to be tough so he’ll welcome her home and love her, but her humanity always manages to filter through and make her a better person than him. I didn’t really like her, but I think that’s okay. Kate isn’t a girl who cares if she’s liked or not, she just wants the truth. I will definitely be picking up Our Dark Duet soon to see what’s coming next for the city – and the monsters – of Verity. I'm a little late to this party, but apparently it takes a while to get back into the blogging world when you've been gone for the better part of 5 years! However, I did want to showcase the books that are coming out (or have come out already) in September 2017 that I'm really looking forward to. What September 2017 releases are you looking forward to the most? 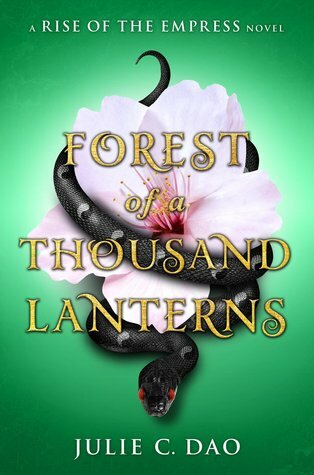 Click through using the affiliate links on my sidebar to preorder or buy them and help out At Home Between the Pages at the same time! 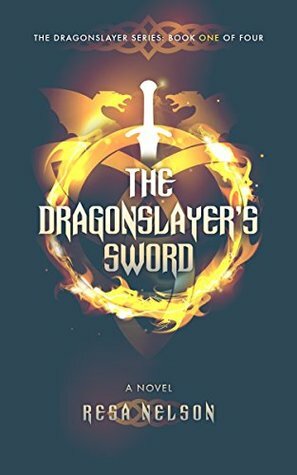 I don’t know how I missed it when I first read the synopsis, but I did not realize that this story had dragons in it. I’m not against dragons, I was just a bit skeptical when they came up in the story when I wasn’t expecting it. But I think it added an awesome element to the story and know it wouldn’t have worked without. Lorelai is an amazing, strong lead character. She has powerful magic and, although she is afraid of it in the beginning, becomes confident and sure of herself and who she wants to be. 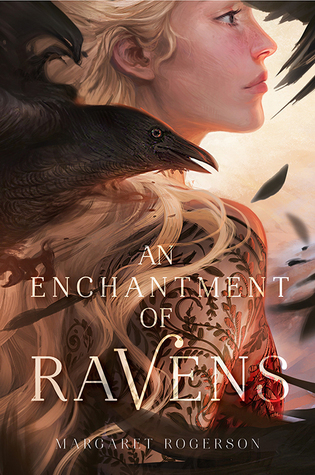 She has to overcome a lot of emotional, mental, and physical barriers in her quest, but her heart is so strong and she knows what she must be done to be the queen that Ravenspire needs and deserves. 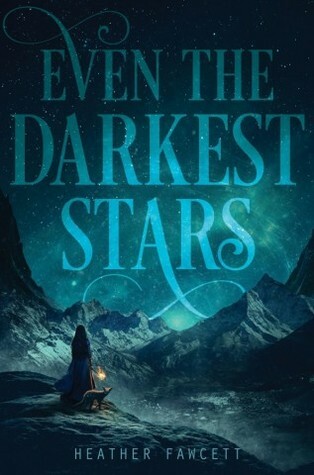 The rest of the characters in this story are really great as well, from the ones who are only in the story for a while, to the ones who share Lorelai’s journey with her. Kol is the new King of Eldr and he’s doing the best he can to save his kingdom from the ogres that are moving closer and closer to his home. He’s such a tortured and tragic character and I loved that about him. I loved Leo, Lorelai’s little brother who she’d do anything to protect, and Gabril, her father-figure who raised them when they had to flee the castle. And then there's Kol’s motley group of Eldrians who would do anything for him because he’s their king, but more importantly, he’s their friend. 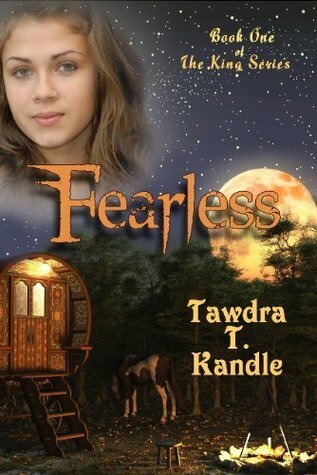 Although this is the first book in the Ravenspire series, the books are actually all stand-alone novels. 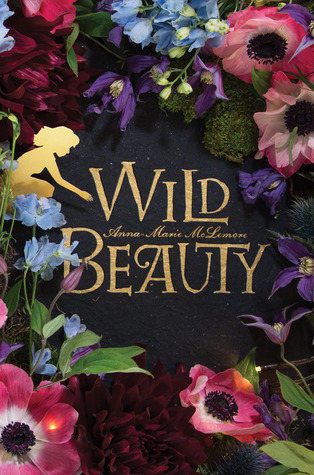 They all occur in the same world, but they’re all different fairy-tale retellings. The Shadow Queen is a retelling of Snow White, while The Wish Granter is based off of Rumpelstiltskin, and The Traitor Prince is inspired by an old Arabian tale called The False Prince. (Thank goodness for Goodreads or I wouldn’t have that info!) I haven’t decided if I’m going to read any more of the books in the collection, but I do know that I like C.J. 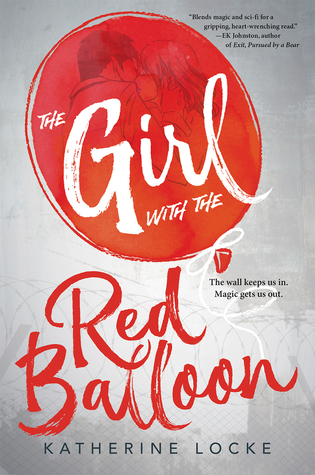 Redwine’s writing (I’ve also read her entire Defiance series), so I wouldn’t be surprised if it “appeared” in my TBR pile in the near future. I love visiting the book store and checking out the sales. Chapters/Indigo has awesome sales and I've decided to collect a list of them for you to check out! The sales can be found both in store and online. Happy shopping! 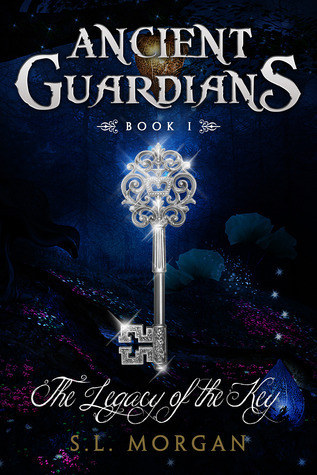 Clicking on the cover will bring you to the Chapters/Indigo page. These are affiliate links. 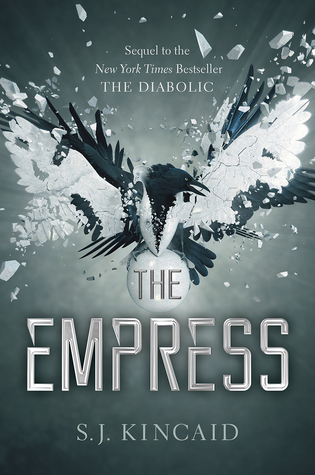 See my review of The Diabolic by S.J. Kincaid here. Lover of reading, traveling, sports, teaching, and animals. See my About Me page to learn more! 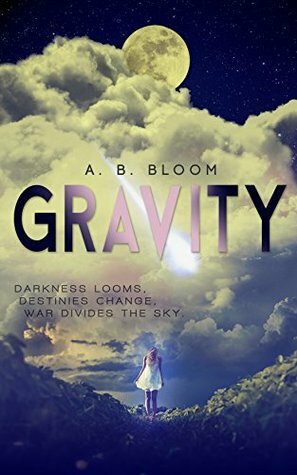 This blog contains affiliate links to The Book Depository, Amazon.com, and Chapters/Indigo websites. This allows me to earn commissions from these websites if you make a purchase after linking through this blog.